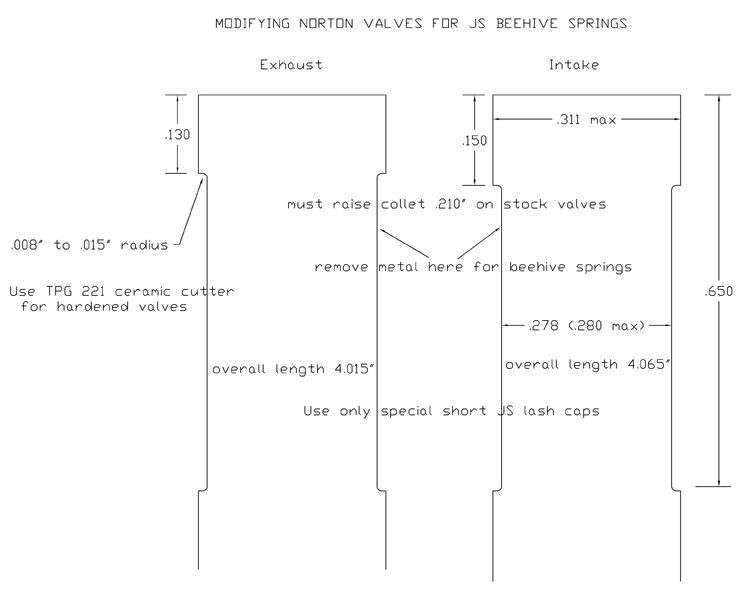 See diagram below to modify your existing valves to fit the beehive springs & retainers. DO NOT USE REGULAR LASH CAPS – there is not enough room and they will cause your collets to fall out. Special order our short lash caps to fit. Note that our black diamond valves have stellite tips and do not need lash caps. 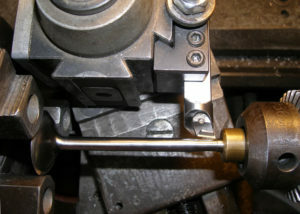 First make a brass tool to locate the valve tip in the tail stock chuck of your lathe. Drill with a 1/4″ counter sink so the valve tip centers in the tapered section of the hole. See photo below. 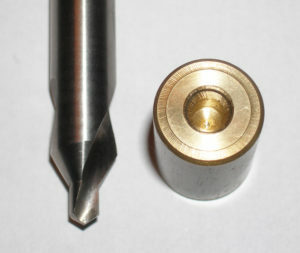 Example Lathe cutting bit shown below (my tool uses reverse rotation). Use TPG 221 ceramic cutter for nitride hardened valve stems. The valve must always be turning while the brittle ceramic cutter is touching the surface or it will chip.